UPDATE JUNE 20, 2018: Given the situation of migrant children on the US border, proceeds from this project will be donated to RAICES Texas until further notice. 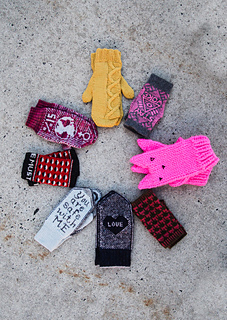 These mittens are part of an ebook - Join Hands. 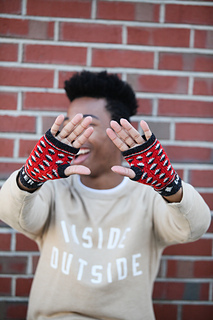 All proceeds from the collection will be split evenly between the American Civil Liberties Union and the Southern Poverty Law Center. I was in London for a day in January 2017, a bleak month for myself (and many of us), when I picked up a slim little volume from a bookshop near my hotel: We Should All Be Feminists by Chimamanda Ngozi Adichie. It’s a short, approachable text adapted from a TED Talk that Adichie gave, and can easily be read in an hour or two. I appreciated the approachability of this little book, since “feminism” is a word that seems to intimidate some people, and I thought Adichie’s arguments were good ones at that. 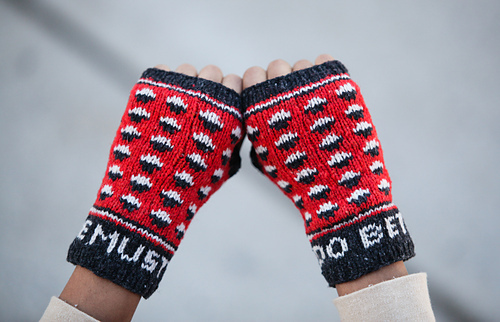 I was inspired to use a quote from the book, “we must do better,” to create these mitts, and I paired the graphic motif from the cover of my version with the text. 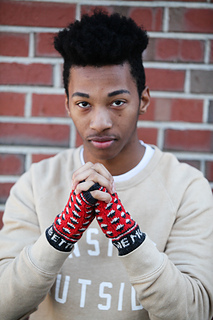 My hope is that these mitts can be a conversation starter as well as something warm and beautiful to wear. Needle sizes are recommendations only. Always use needle size necessary to obtain gauge. 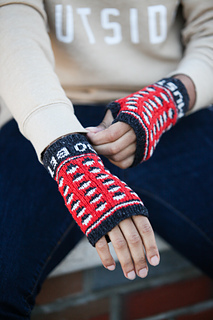 Use preferred small-circumference circular knitting method such as double-pointed needles, magic loop, or two circulars.